Major life goal: write a few short books. I’m the kind of person that doesn’t like to waste a lot of time shopping. I usually go into it knowing what I want and then I buy it. I walk into a store, I look at the available options, and then after deciphering the key statistics, I make my purchase. Simple as that. It became obvious to me that when I was looking at some books on Kindle that I liked the title, the author, the descriptions, the reviews, all of that, but I didn’t like the page count. I’d close to tab, and move onto the next book. Now, to be fair, I am talking about non-fiction. Fiction books are a completely different story. If a fiction book is good, I’ll try to read it, but I fundamentally believe that if you can’t make your point in less than 225 pages in a non-fiction book, it’s not worth reading it. 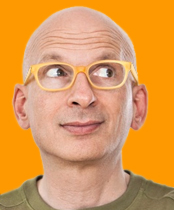 One of my favorite business writers, Seth Godin, (http://sethgodin.typepad.com/) only writes short books. He’s realized that it’s not just the short attention span of his readers that leads him to write less, it’s that it he’s recognized that people appreciate brevity and clarity. I’d add to that list the idea that we all seek a sense of completion, and a short book will allow you to have that feeling of victory. So now, I’ll to be a bit clearer, when I say I want to write a few short books, what I really mean is that I want to write a few concise books, with solid content, that people can easily pick up, finish and feel like the read was worth it. This entry was posted in Life Goal on October 12, 2013 by Aaron.